Jamie McLennan spent twenty years playing professional hockey. Sort of. As the backup for such legendary goalies as Grant Fuhr, Ron Hextall, Roberto Luongo, and Miikka Kiprusoff, he saw everything--except much playing time. 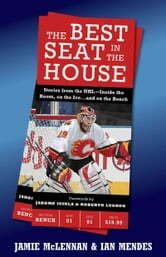 In The Best Seat in the House, McLennan looks back on his unique career, from breaking into the NHL, to working with the legends, to life on the road and in the league, offering readers an unprecedented glimpse into life inside the locker room. 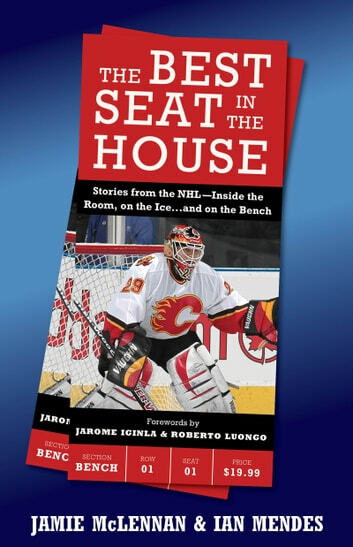 Filled with tales of camaraderie and crazy antics, the book covers 20 years on and off the ice--including McLennan's disastrous meeting with Gene Simmons, accidentally calling Lady Gaga a troll to her face, charging an opposing team's mascot on the orders of legendary coach Billy Smith, and even how he hid a hotdog in his gear for an in-game snack. Very funny exactly what I expected it to be. Lots of quick funny stories.